The steering wheel vibrates when the car reach a certain the possible reason is that the front wheel is imbalance or there is a loose front end parts. The battery light comes on steady while driving. 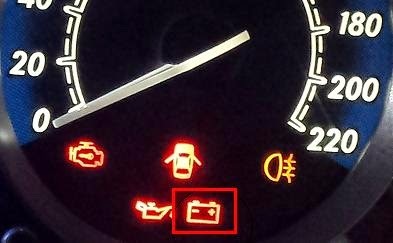 1) The alternator belt is damage. 2) The alternator is faulty. When your battery light comes on while driving two reasons will cause this, first is the alternator belt is broken and second, the alternator failed. The alternator is being driven by the engine using belts for the purpose of supplying charge on the battery and provides electrical power on all of your car accessories. If the battery light comes on while driving it means that the alternator is not generating electrical power for your car and all the car accessories will draw power to the battery until the battery also losses power. Now why the alternator is not supplying electrical power to the battery and accessories? While driving your car the steering feels sloppy or loose especially when driving at high speed.